Just Kidz Truck Carry Case Just $10.99 Down From $27.00! You are here: Home / Great Deals / Just Kidz Truck Carry Case Just $10.99 Down From $27.00! Sears has this Just Kidz Truck Carry Case on sale for $10.99 (Reg. $27.00)! 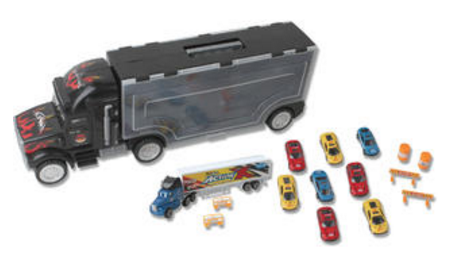 The Truck Carry Case by Just Kidz includes several cars which ride along within the larger Semi-Truck. Your child will have endless hours of fun with this toy-transporting Semi!